We had an incredible opportunity to be part of the first training sessions for a new restaurant that will open in Plano next week called Modmarket. They invited us to their soft opening and offered us free meals in exchange for letting their staff get some real life training with us as some of their first customers. How fun! They call themselves a "Farm Fresh Eatery". Their food is real, whole food like you would get straight from the farm. As we are trying to eat healthier, more organic foods, I really appreciate this "farm to table" idea. Modmarket make their food from scratch using whole grain ingredients and real butter. I love the weathered wood and rustic farmhouse feel of the decor! 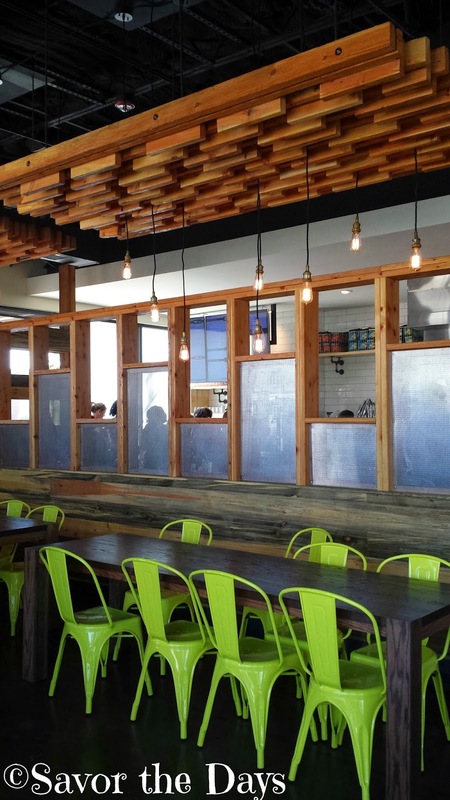 Modmarket serves breakfast, lunch, and dinner. We headed over for lunch. The restaurant is conveniently located on Preston Road at 121. 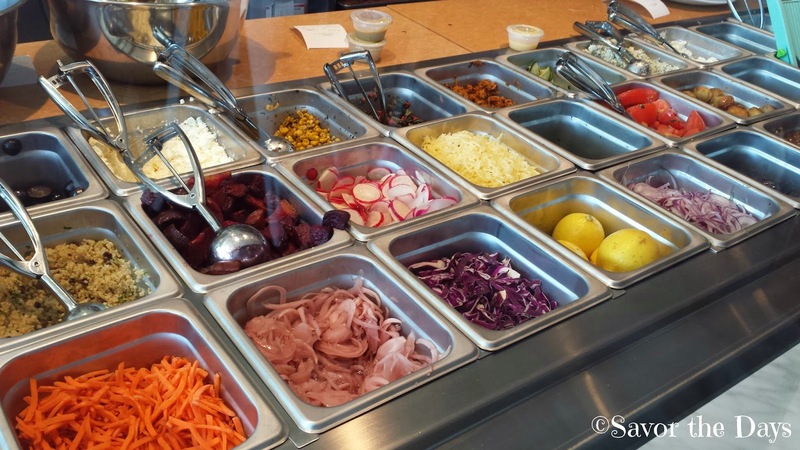 Fresh ingredients ready to be made into a delightful creation for your mouth and tummy to enjoy! We placed our order and found our seats to wait for our food to be prepared. While we waited, the kids went to fill up their drink cups. They came back saying the drinks were "weird". Hmmm, I had to check this out. Turns out that if the spout isn't labeled by a company like Pepsi or Coke then my kids think it is weird. 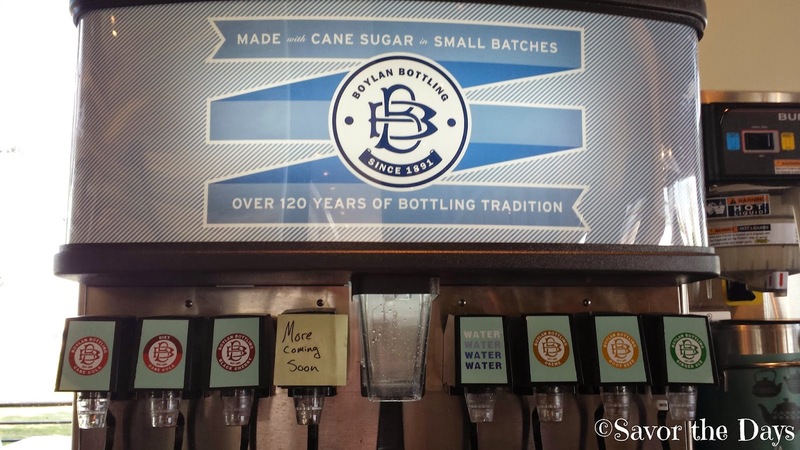 Sadly we don't see many drinks like these made from real cane sugar and with classic flavors like Creme Soda or Ginger Ale. I absolutely loved it and after my kids tried it they loved it too! Sometimes weird is really just untried. The food made my mouth do the happy dance! 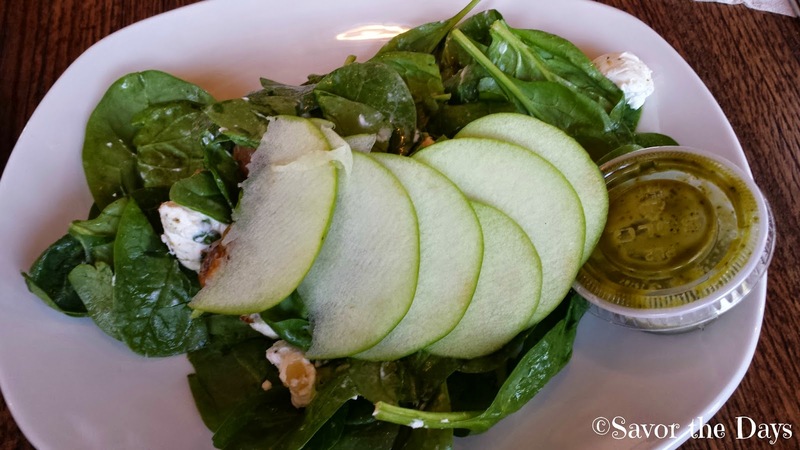 The Wintergreen salad is made of spinach, goat cheese, roasted potatoes, walnuts, apples, dates and and a delightful agave herb vinaigrette. It was an unusual combination that I have not tried before but it really went well together. And that agave herb vinaigrette was really nice. 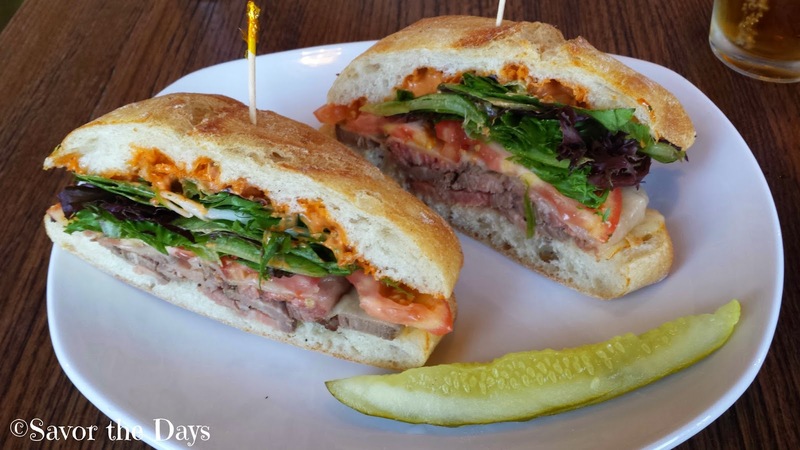 The Chipotle Steak sandwich has just the right bit of kick to it with grilled steak, chipotle aioli, mixed greens, muenster cheese, tomato, and ciabatta bread. Mmmm, I just loved this sandwich. It tasted fresh. There were lots of veggies on it but the the perfectly seasoned meat really shined through. I don't know if I could ever order anything else after trying this. I loved it! Modmarket has some amazing pizzas too! Their dough is made fresh every day in the restaurant and each pizza is cooked in a real brick oven. Gluten free and half size pizzas are available. 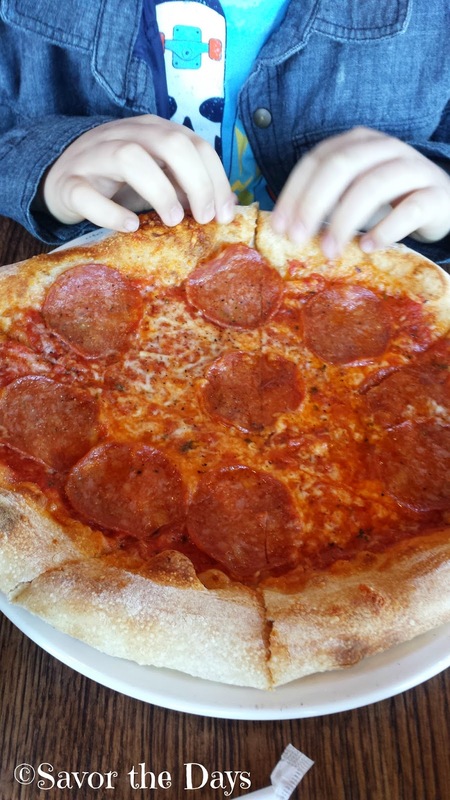 Nicholas ordered a basic pepperoni pizza but there was nothing basic about this bad boy! All of our food at Modmarket was delicious and I felt good about what we put in our bodies. We can't wait to go back again. 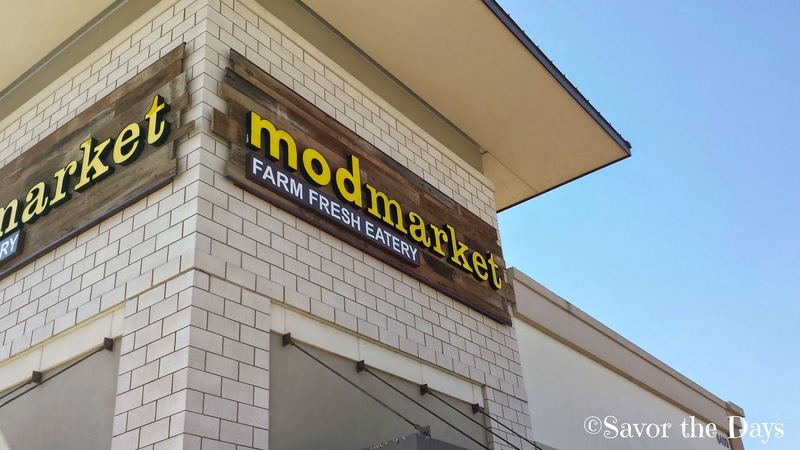 Modmarket Plano is located at 8400 Preston Road, Suite 100 in Plano. They are open from 7:00 am - 9:00 pm. You can give them a ring with any questions at 469-573-6074 or check out their webpage for more info and a complete menu.